Have a question that is not answered here? Please see our Pricing, Availability Calendar, Customer Comments, and Resources pages for specific information regarding those topics. You can also complete the form on the Contact Us page, call, or email, and we will be happy to help. Sweet By Design is a custom, cottage bakery operating by appointment only. We do not have a retail location that you can swing by to pick up a single cupcake or dessert cake. All of our orders are custom made for a specific event. All consultations, appointments, and pickups must be scheduled in advance. What areas do you serve, and do you deliver? If you would like to speak to Melisa directly, please call 214-298-3119; however, email is my preferred method of communication for a couple of reasons. First, I do not have any employees to answer calls, and the mixer is always running, so be prepared to leave a message. Second, since we are a cottage bakery with little BITs (bakers-in-training), it can be challenging to communicate by phone. Emails and messages will be answered by the end of the next business day. Alternately, you can fill out the form on the Contact Us page to get the ball rolling. Please note that responses to emails and our Contact Form will come from sweetbydesigncakes@gmail.com - please check your spam or junk folder for a response as well as your inbox. See our Pricing page for additional information on deposit requirements and pricing. Can you make me a cake for only 2 or 3 people? The smallest size cake we make is a 5" round that serves 8; however, there is a minimum order requirement of $100.00 for our custom cakes. We also typically offer 8" round dessert cake and 6 count cake bite specials from Thanksgiving through Valentines day. Please see our Pricing page for more details. Can you make me a cake for exactly 87 people? Ordering cake is a little different than ordering entrees from a caterer. A caterer may be able to order an exact quantity of chicken or filets from their supplier, but the number of cake servings are determined by the size of pan used. The next size up or down in pans will be several servings, not just one or two. Please see our Resources page for a serving chart listing what you should expect from the different sizes, and we will be happy to help guide you in selecting an appropriate amount of cake for your party. My wedding will only have 50 guests. How can I have the look of a big cake without having a ton of leftovers? We can incorporate false tiers into the design of your cake. Styrofoam cake tiers can be decorated in buttercream or fondant just like the rest of the cake giving you the appearance of a much larger cake. Keep in mind that a false tier will take the same amount of time to decorate as a tier made from real cake so the price is not always significantly less for a false tier depending on the design. Do you offer cake tastings and consultations? For wedding cake orders, we offer a personal consultation where we can discuss the inspirational elements you would like incorporated into the design of your cake. The cost of the consultation is $25.00 which is then applied to your final balance if you book with us. At the consultation, we will discuss the vision you have for your wedding cake, go over the details of our contract, and we will bring you a selection of samples to enjoy. 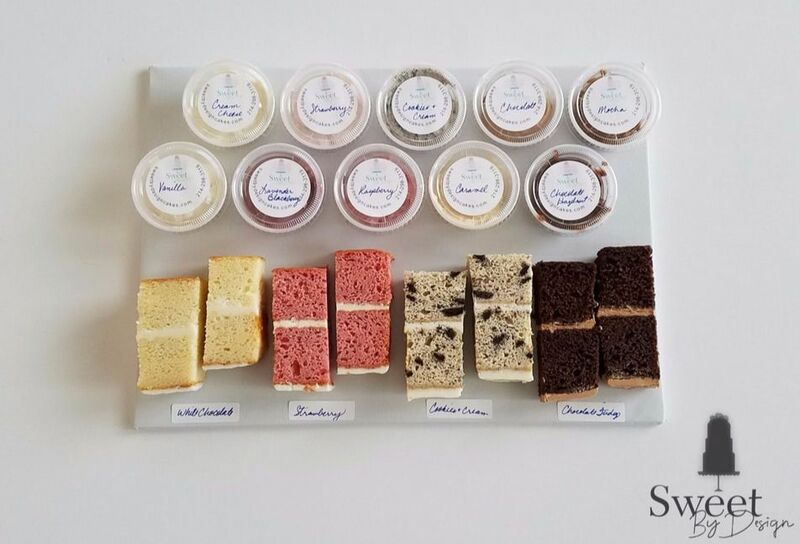 The tasting will include five different cake flavors of your choosing and a variety of buttercreams for two guests to enjoy. An additional sample box can be purchased for two more guests for $10.00. Because we are a Cottage Bakery, Wedding consultations are held at a coffee shop in the Allen or McKinney area. After the appointment, a copy of the contract detailing the design of your cake will be emailed to you along with a quote. Once your $100.00 non-refundable retainer and signed contract is returned to us, your wedding order is booked. 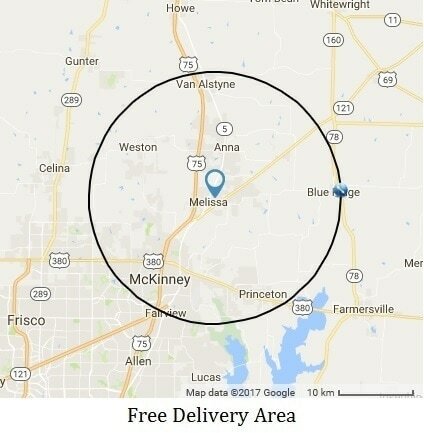 ​When should I place my order? ​We recommend you book your order as soon as you know the date of your event or party and have your venue booked. We generally start to receive inquiries 4-6 months from the event - even further out for a large wedding or if the wedding falls during the months of April - October. Orders are taken on a first come basis. Your order is not considered booked until your $100.00 non-refundable retainer (or payment in full if the order is under $100) and signed contract are received. Because everything we bake is custom for a specific event, orders must be placed and paid in full 15 days prior to delivery/pick up. Please see our Pricing page for more details. When do you make my cake? I want it to be as fresh as possible. We make all items as close to your event as possible. We do not make cakes in advance and freeze them for future use. I am allergic to nuts, flour, milk, etc. Can you make me a cake? I can eliminate nuts from a recipe; however, we currently do not offer any recipes that do not call for wheat or dairy products in the cake or icing. Also, wheat flour gets everywhere and lingers in the air. We would love to make your cake, but for your safety, if you have a serious food allergy, we recommend you choose a bakery that specializes in allergen free products. We are often asked about the difference between buttercream and fondant icings. Buttercream is a soft icing that is spread over a cake. It can be piped onto a cake to make flowers, borders, and other designs. When iced in buttercream, the outside of a cake may stiffen slighty, but the icing will remain soft. Fondant is an icing that is rolled out and laid over or poured on a cake and dries hard to the touch. It has a soft, taffy feel in the mouth. Fondant can be used not only to cover a cake, but it can also be used to make 2D elements such as stripes and dots or 3D elements such as flowers and figures. Both fondant and buttercream can be tinted to complement the design of the cake. When a cake is covered in fondant, it will still have a layer of buttercream or ganache underneath so it will adhere to the cake. Fondant tastes like a mild vanilla and, well, sugar! It really is a very mild flavor; however, some people find fondant a little sweet. After all, there is an extra layer of icing on the cake. Fondant also yields a much smoother finish on a cake. Cottage Bakeries cannot sell items that require refrigeration according to Texas Cottage Food Law. As such, we do not offer any products that require refrigeration. Sorry, no cheesecakes or mousse fillings. However, in addition to our standard Swiss Meringue Buttercream, we do offer a cream cheese icing that does not require refrigeration. Can you make me an Elmo, Mickey, Coach, etc. cake? There are copyright laws that restrict the use of copyrighted images and we cannot make cakes in the likeness of a copyrighted character or logo without the express written consent of the copyright owner. However, we can make a cake that would be a perfect setting for a purchased item to sit on. For example, the doll in the Princess Doll birthday cake was a toy purchased by the customer to be used in the cake. I want to use a specific ribbon or cake topper. When do you need anything I will be providing that I want to use on my cake? The actual size of the ribbon or decoration can affect the design of the cake, so the earlier we have these items, the better we can evaluate if any design changes need to be made. Also, items, such as toppers, placed on the cake may need additional support so they do not sink into the cake. Even a small vase is heavy enough to destroy a cake without proper support built into the design. Will you place real flowers on the cake? The use of fresh flowers in the design needs to be discussed up front as additional supplies will need to be purchased - you don't want water to seep out of that freshly cut flower ruining your icing! Also, the client is responsible for making sure your flowers are non-toxic and organically grown. Some of the most popular wedding flowers, such as Calla lilies, are poisonous, so not all flowers are recommend as decoration on the cake. My wedding will be outside in August. Can you make me a cake? We do not suggest any cake be displayed outdoors. Not only does butter, one of the main ingredients in buttercream, start to get soft at room temperature and melt at about 90° - 95°, but you have to worry about bugs and the wind blowing dust or other debris onto the cake. The ideal location for the cake is indoors on a sturdy, level table at about 72°. How do I cut my cake? Do I need a special cake knife or server? Take a look at the Cake Cutting Guide on our Resources page for a general idea of how we suggest you cut your cake. For cakes with two or more tiers, we will provide a Cutting Guide with your cake so you, or the facility, will know where the supports or other non-edible items are. No special equipment is really needed to cut a cake - a knife to slice, a fork to help transfer to the plate, a damp towel or two to wipe the icing that builds up on the knife, and you are good to go! What are "supports or other non-edible items"? Any cake that is more than one tier needs support or the top tier will sink into the lower tier. Our two tier cakes weigh in around 15-20 pounds! Only food grade materials will come in contact with your cake. Other non-edible items, such as ribbon or rhinestones, will need to be removed before the cake is cut. Will you donate a cake to my organization? Sweet By Design is part of the volunteer network of bakers with Icing Smiles. At this time, this is the only organization to which we donate. But it's too pretty to cut! Take a picture - cake was made to be eaten! OK, so that wasn't really a question. However, we hear that comment all the time. Really, take a good picture, and eat the cake. If you forget, contact us; we always take pictures of our finished products.